Exterior paint services are a great way to revitalize your home and increase your curb appeal, whether you want to sell your home or simply feel like it’s time for a renovation. Los Angeles homeowners can enjoy the many benefits of a new exterior paint job by contacting Sky Renovation. For more than 20 years, we have been the general contracting company that Los Angeles residents turn to for all their remodeling and new construction needs. Exterior paint is no exception. Sky Renovation’s exterior painting services promise the highest quality paints and primers to give your home a beautiful, durable finish. We work on all surfaces and finishes, handling your paint job from planning to clean-up. If you want, we can even recommend the best color and trim ideas to create the look you’ve always wanted. When you get your exterior painted by us, you can be sure that the outside of your home will look great and be sealed tight as well. Our patching, repair, window, and door services can make sure that the exterior of your house performs the job it was intended to do, namely keeping out the elements. You’ll be surprised by the money you’ll save on heating and cooling costs when your home is properly sealed. 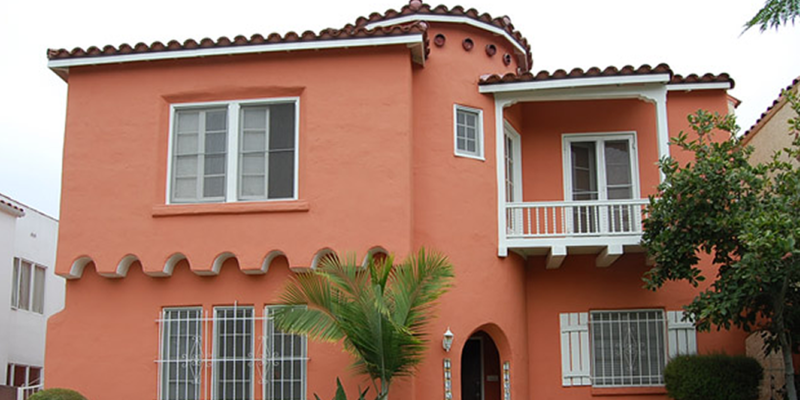 If you are in need of exterior painting services in Los Angeles, or any other remodeling or construction job, contact us for a free estimate today.